Vehicle accidents are an unfortunate reality in America. While injuries and deaths have been on the decline for several years, the trend has reversed this year. The NH car accident lawyers at the Law Office of Manning & Zimmerman, PLLC urge you to be prepared to protect your interests if you or a loved one are injured in a crash. As the NH car accident lawyers at the Law Office of Manning & Zimmerman know, keeping a level head after a crash isn’t easy, especially if there are injuries involved. First priority: make sure that help is on the way for anyone who needs medical attention. Then take steps to protect your interests. Learn how with this guide on what to do if you are involved in a roadway crash. Crash avoidance technologies, such as automatic braking systems and adaptive headlights, are preventing accidents according to the Insurance Institute for Highway Safety. Read more about these new technologies (download report). The National Safety Council is urging all Americans to get involved in the Decade of Action for Road Safety 2011–2020, an initiative of the World Health Organization. The goal: prevent road traffic deaths and injuries that could take the lives of 1.9 million people annually by 2020. Motor vehicle crashes are the number-one cause of death for teens. Graduated Driver Licensing (GDL) reduces the crash risk for new teen drivers 20 to 40 percent by emphasizing experience while minimizing hazards like nighttime driving. Look up GDL laws in New Hampshire. Make sure important information is handy when you need it with our free 10 Minutes, 10 Hours wallet card on what to do after a vehicle accident. Perfect for your wallet, handbag or glove box. Check out podcasts featuring topics from past issues of You Should Know and subscribe to future shows via iTunes or RSS feed. 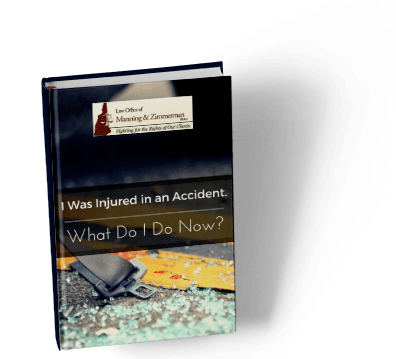 If you have been injured in a crash, it is essential that you have competent legal representation from the onset of your case through litigation. Big insurance companies have lawyers looking out for their interests and you should too! The experienced New Hampshire personal injury attorneys at the Law Office of Manning & Zimmerman, PLLC offer free initial consultations to NH injury victims. Call us at (603) 239-2489, complete a request for a consultation on our website, or send us an email.